Donald Root, Chief of Central Public Services Division, talks about his life, appreciation for libraries, and all the great things happening at the Free Library! A free “Sneak Preview” show will take place Sunday, Aug. 23, 2:30-4:30 p.m. at the Free Library of Philadelphia, Logan Square, 1901 Vine Street, Phila. Meanwhile, a series of inspired food events are being planned across the country in reaction to the printing, like at the Free Library of Philadelphia’s Culinary Literacy Center, which is hosting a four-week program open to the public based around Good & Cheap that focuses on cooking skills, pantry skills, and more. The Free Library of Philadelphia celebrates the Papal visit with its own exhibition, Sacred Stories: The World’s Religious Traditions, running from August 31 to January 30, 2016. To no one’s surprise, the exhibit will comprise of… books! However, none of those included in the exhibition are available for checkout. Those selected from the library’s Rare Book Department highlight sacred texts that transcend any one religion. A Philadelphia resident, community leader, and activist, Ms. Aulston was a former research librarian for the Free Library of Philadelphia. 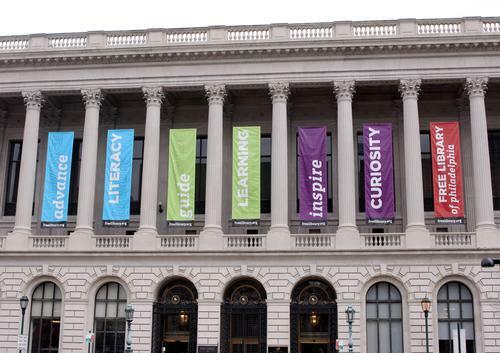 Choi, then the operator of the non-profit organization Women's Development Institute International (WDI), organized its exhibition at the Free Library of Philadelphia for two months in 2003. That same year, she took over the piece from Sisson who had trouble raising funds for its exhibition. However, there are signs that libraries are embracing their role as a safety net. Libraries in San Francisco, Washington DC and Philadelphia are hiring social workers to assist with the needs of homeless and mentally ill patrons. The original Grip, who has inspired a novelist, a poet, a painter and generations of Yeoman Warders, can still be seen today at the Free Library in Philadelphia.